Australia Needs You » Immigration visa advice when you are preparing application for an Australian or New Zealand visa yourself! There is a variety of information available for you when you are applying for a visa by yourself. However, it is essential that you assess all the information available critically and question whether it actually applies to your particular circumstances. I will be able to provide you with essential assistance and guide you through requirements to your desired outcome. Presumably, you will commence your research on Department of Immigration and Border Protection (DIBP) and New Zealand Immigration websites as they offer a quick reference to information about types of visas and your entitlements. Commonly, they require you to insert basic information and the online system will display instantly which visas may be applicable to your circumstances. This will give you an overview of the visas, basic eligibility criteria and costs associated with visas of particular types. Although, this generic material will not provide you with the information about an exact visa most suitable for you, processes that are required for your particular circumstances and the pathway to your preferred status in either New Zealand or Australia. I will assist you to go beyond an overwhelming amount of generic information on basic requirements of the visa. I will assess all your documentation and provide you with professional visa advice so you will be able to prepare a successful application. On the immigration websites, you will find applicable application forms and checklists, but these are generic and you will not have information of how to complete those or whether any forms and requirements have changed from the time you have completed application forms which have not been submitted yet. Any checklist will have basic documentation listed, although, they do not provide a complete list or explain how the documents should be presented, nor for what evidence each document is used and what document is most suitable to be included in your particular application to present your best case possible. Sometimes, applicants will find themselves unable to present certain documents that are listed. In this case, I will be able to advise alternative ways or documentation to best support your application. On the government Immigration websites, you will find basic information about how to apply online, including steps to be completed. However, many find this quite overwhelming as forms are lengthy and require various information and sometimes will not allow you to proceed to the next step due to information missing or errors. You may also find yourself unable to answer or unable to understand what is required from you. Governments require you to provide complete and correct answers on the submitted forms. There is a Public Interest Criterion 4020 condition that specifies that only information and documents that are true and correct in every detail must be presented to any authority. All must be a true, correct and honest representation of your identity, skills, qualifications, work experience and other circumstances, as submitted bogus or fraudulent information will have negative consequences on your visa application. When applying for skilled migration, business, temporary visas, student visas and family visas, you must satisfy, so called PIC 4020. This PIC 4020 enables refusal of a visa application when an applicant provides ‘bogus documents’ or information that is false or misleading, even when information provided is not directly relevant to the visa application or when applicants submit documents unknowingly. It is important to note that if you are refused a visa because you do not meet PIC 4020 on identity grounds, another visa that includes PIC 4020 as part of the criteria will not be granted to you for a period of 10 years after refusal which includes your family members that were part of your visa application. I am able to advise you in regards to this criterion and other questions you might have in regards to how to complete forms and questions which you are uncertain of how to answer. The available features of Visa Wizard and Visa Options Check on the Immigration websites can be useful as they provide you with a number of visa options for your location, country of residence and passport details.  Although, these will not provide you with details of which visa is best for you; how your pathway to desired permanent residency should be achieved in the best possible way; or how to maximise your chances of success on a particular visa type, all of which I can personally assist you with. Information Booklets are provided by Immigration authorities to help you understand what is required and how to complete and lodge applications. However, they are not detailed enough to include information about adequate preparation of documentation; information regarding your particular country; how and where to obtain documents and practical advice; or how to save time and money when preparing documentation, translations and other. Interestingly, these booklets have a disclaimer attached that the information contained in these booklets should be used as a guide only as the requirements may change from the date of printing a booklet. Before you lodge a visa application, you should check the website for the most current and specific visa information. I follow legislation changes and will be able to provide you with up-to-date advice and lead you through requirements. Furthermore, I will be assessing all your documentation and provide you with advice regarding how to approach documentation preparation and presentation of those to applicable authorities. The Immigration website encourages applicants to contact them via phone if they have any queries and only after reading information provided on the website. From my own experience, DIBP will not answer the call for at least 45 minutes. Upon taking the call, it is still not certain that all your questions will be answered comprehensively. Often, clients report to us that they have waited over an hour on the phone to Immigration contacts and still found themselves unsatisfied with the reply. Alternatively, spending 45 minutes with myself in a consultation appointment, you will receive correct and comprehensive advice and will get your questions answered. I will assist you in complex matters and procedural matters, explaining processes and requirements. Upon completion of our consultation, you will be able to make necessary steps, understanding requirements completely. You will possibly also be referred to various blogs and forums, providing visa advice. Most of them include very general answers and rarely will include advice that completely applies to your particular circumstances; circumstances are very individual and may be different on certain points. Searching for information and trying to eliminate what does not apply to you will take up hours of your valuable time. I understand requirements and the information you need that will give you a solid start to your own visa application and will assist you professionally and promptly. Using my services, you will be able to confidently address the issues of your eligibility and understand what certain visa conditions mean and how they apply to you. You will understand how to evaluate available information and how it applies to your personal situation. In addition, you will make a friend with a professional adviser who will be your first point of advice and who understands your case and has your best interest in mind.